Concierge Desk Plate | 2" x 8"
This Concierge Display sign will direct your guests for services within your hotel, motel or B&B. Check-In Right Sign | 3" x 10"
This concierge desk plate or wall mount sign will let hotel guests know exactly where they go for assistance. Choose your plate color and frame color. 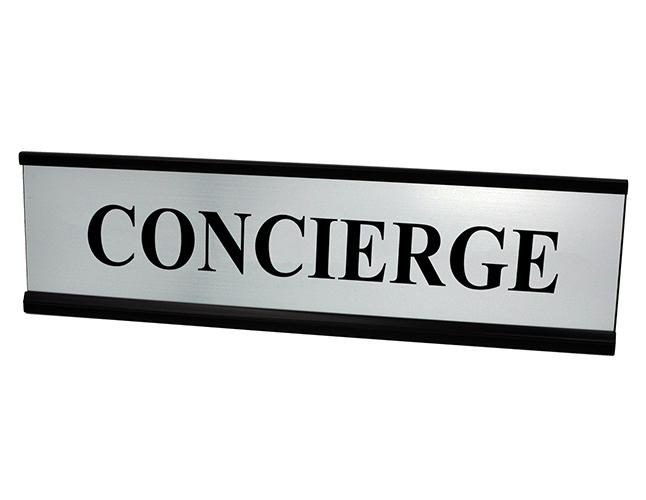 Keep your hotel running smoothly and display this concierge sign to let customers know where to ask questions.